Ever called a comic strip character on the phone…? Pick up the phone and leave a message for the characters in the strip. 1) Show up here on the Watson Voice-Mail page. 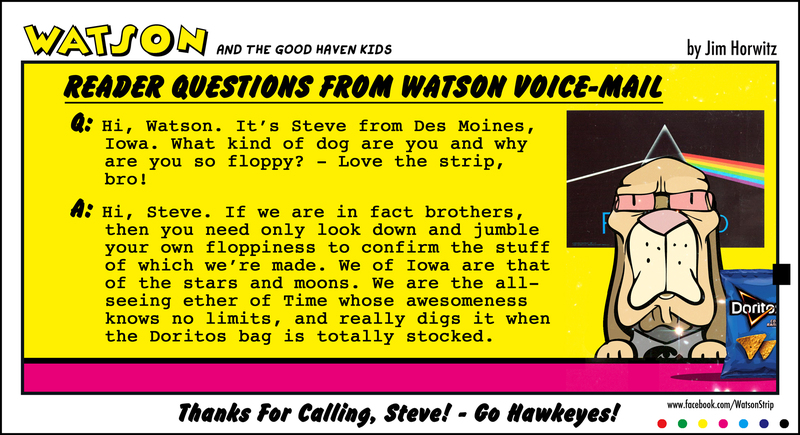 2) Get mentioned in the “WATSON” comic. 3) Or, even get answered, directly, in a custom “Reader Questions” comic strip. No matter what you’re gonna have fun! So, pick up the phone and give it a try. 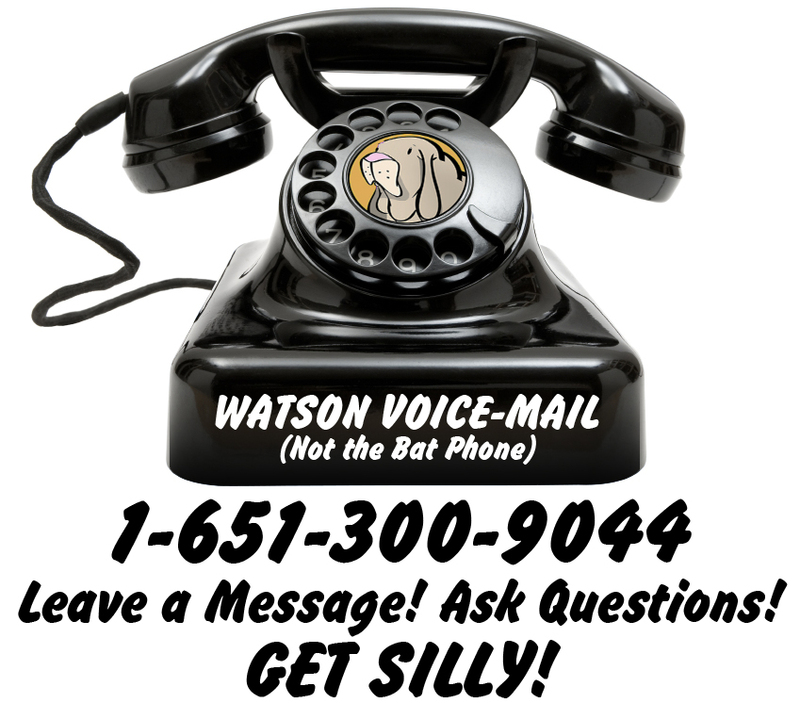 Watson and friends are just a phone call away!